This survey is the first stage in a research project to audit the range and quality of pastoral care currently available to separated, divorced and remarried Catholics in parishes across England & Wales. We hope to identify local models of support, examples of good practice and gaps in provision, in order to map out the range of social, pastoral, liturgical and catechetical support available. Our goal is to better understand the experience of individuals and couples in these situations and that of the priests, deacons, religious, lay counsellors and parishioners accompanying them. A summary of survey findings will be shared with Catholic Diocesan Marriage & Family Life Coordinators at their Annual Residential from 6-8 November 2018. Your participation is strongly encouraged but entirely voluntary and your identity will not be revealed in any publications resulting from the research. Please share the survey link with any diocesan colleagues who may be interested in participating or have relevant experience or insights to share. The deadline for responses is 19 October 2018. * 1. What is your role in the parish? * 5. How do you highlight support for marriages in difficulty, and for divorced and remarried people in parish literature (welcome pack, noticeboards, website, social media? * 10. 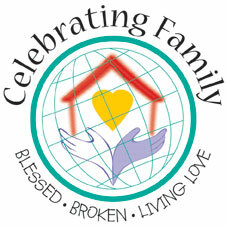 What support would you like to be made available in your parish/local pastoral area for marriages in difficulty, separated, divorced or remarried Catholics?